c programming — experimental chroot gcc development for geeks wanting to write/compile/extend Open Source c code in PASE. If you can barley spell ‘c’ programming you may have a long afternoon of frustration. To wit, this page is NOT for people thinking they can simply download some stuff, then compile an entire Open Source project. Sorry, no such thing in PASE/AIX. However, i know anyone can write c code, therefore, can also extend popular new Open Source languages running in PASE using c code for PHP, Ruby, perl, python, node, etc. It just takes practice and patience. about chroot — IBM i PASE chroot changes the apparent location of IFS ‘/’ to a subdirectory (sub folder), for user, application or task. Therein, a chroot’d user can not “back up” and destroy things in valuable machine IFS (mess up PASE). PASE “chroot jail” provides a nice way to run an activity in isolated location “safely” out-of-the-away from valuable machine IFS. You can Google chroot and learn about it. security warning — IBM i PASE chroot is NEVER intended for multi-tenant hosting (different companies same LPAR). Bluntly, there are both DB2 and ILE call ways of breaking chroot to access “the machine” resources. However, chroot is very nice for most people doing “single tenant” , or, within company (trusted developers). 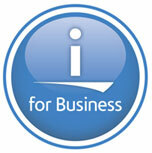 In fact desired to share IBM i common resources like database, RPG programs to call, etc.. Therefore, within company developers more interested in typical things chroot has to offer from “profile” security point of view, as well as, “experiment” safety. To wit, protecting profile ranger from profile wildbill in your organization using chroot works very nicely, because it is not really a company-2-company “spy guy” event, instead, simply an administrative nice way to keep the cats in the herd. Also, yes, i think a chroot standalone application like PHP, Ruby, Python, Nodejs is very useful in protecting from the “outside” hacker, because folks on the machine are the trusted lot. Ultimately, without true IBM i containers, i am hesitant to even hum the multi-tenant song, but i have no problem loudly singing about chroot within the company (and i did). Attach:download-2.0.tar.zip (required) RPMs on linux (not IBM i), then copy RPMs into /QOpenSys/QIBM/ProdData/OPS/GCC before starting. Note: you can only use PASE chroot utility as *SECOFR. Therefore, chroot_setup is assumed to be a *SECOFR profile. pkg_setup.sh — run inside your chroot environment (see step 2). You may use pkg_setup.sh without chroot_setup.sh, whereby, rpm installs will directly into root file system. chroot_setup.sh is an experimental gcc environment based on PASE chroot. Basically, chroot moves the location of ‘/’ into a sub-directory, aka, /QOpenSys/ranger becomes ‘/’ for user RANGER after chroot, thereby anything done in PASE will only affect the sub-directory /QOpenSys/ranger. The idea is to allow you to install and develop your PHP, Ruby, etc., extensions, including c code, in a “safe” way that will not affect all developers on your machine. chroot_setup.sh copies binaries into your chroot ‘jail’. You need to copy everything you want to use inside your ‘jail’, because after you chroot into your ‘jail’, you will lose access to most of the IBM i machine, including /qsys.lib (a bit the bummer, but still usable for PASE). Anyway, after you establish your chroot ‘jail’ you may install RPMs inside the ‘jail’ without affecting the rest of PASE. This ‘product’ not complete, but i have been using a chroot environment for PHP and python ‘c code’ development. Actually, all fear aside, really nice developing multiple versions on same machine, different compilers, whatever, no more LPAR, no more trashing PASE, my own little chroot ‘jail’ sandbox (chroot_setup.sh helped me copy all i need to do the work). pkg_setup.sh downloads and installs per-selected (tested), perzl.org rpms (AIX binaries for PASE). You may use pkg_setup.sh without chroot_setup.sh, whereby, rpm installs will directly into root file system. Note: you can only use PASE chroot utility as *SECOFR. This is why most people use ssh option as chroot user. If your IBM i does not have web access for RPM download, you may use a Linux machine with script pkg_setup.sh to download the rpms. The script knows your are not on IBM i, so only the download will occur to your linux. Simply ftp rpms to your IBM i after download (binary ftp). you can no longer hurt PASE on the machine. Step 4) Have a nice day! If you are a serious Open Source developer, and, find some issues, feel free open issues (link below), so we can fix problems with these scripts.